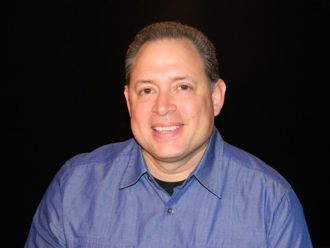 Jose Luis Figueroa has over 19 years of experience as a development professional, most of these spent in developing contexts, in different leadership positions. Starting with World Vision Honduras in 1995, some of the responsibilities Jose Luis has managed include Resource Development Director, Organizational Development Director, and Sponsorship Manager, giving him a comprehensive view of program/project design and integration, with both private and public funding streams. He also served as CEO for the VisionFund Micro Finance Institution in Honduras (Foundation for the Development of Honduras), and later served as Secretary of the Board of Directors for seven years. Hired by World Vision US in 2007, in his role as Country Program Manager for the Latin American and Caribbean team, Jose Luis managed the Central American portfolio, which includes Guatemala, El Salvador, Honduras, Nicaragua, and Dominican Republic. In his current role as Senior Director for Economic Development, he leads the Economic Development Private Funding programming that World Vision US supports in Africa, Asia, Latin America, Middle East and Eastern Europe. Jose Luis joined WV Honduras responding to a call to leave a promising career as Regional Director in the ocean freight industry, and during this trajectory has been well recognized for his strong belief and passion in effecting transformation in the lives of the children, families, communities, and donors we serve. Jose Luis and his wife Lily, who also works for World Vision, have three children, live in Federal Way, WA and attend New Life Church in Renton.